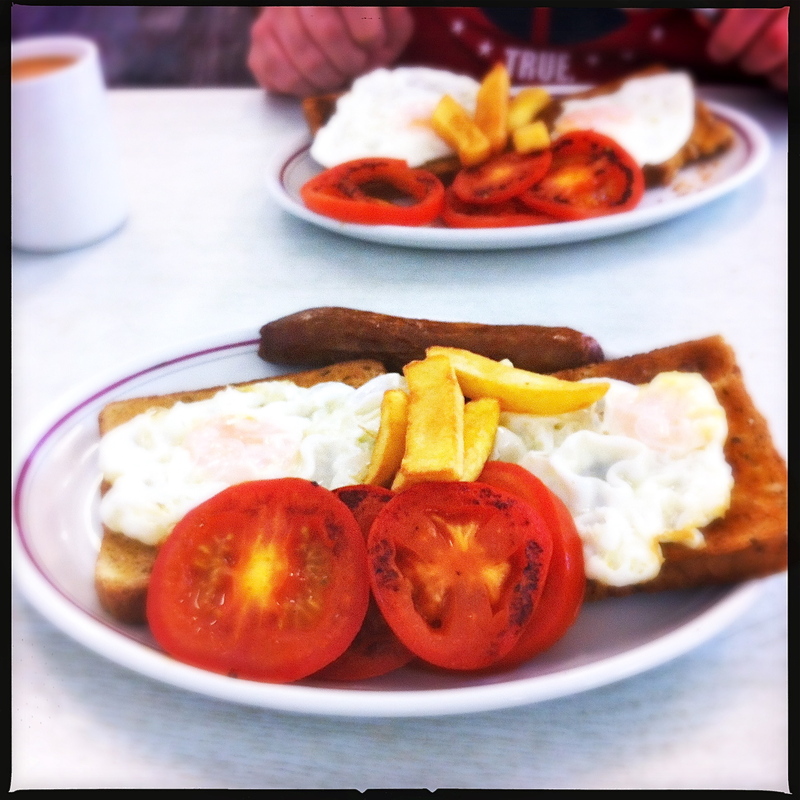 A fry up breakfast at Shepherdess Cafe. The tables by the window were all taken up by the punters already. 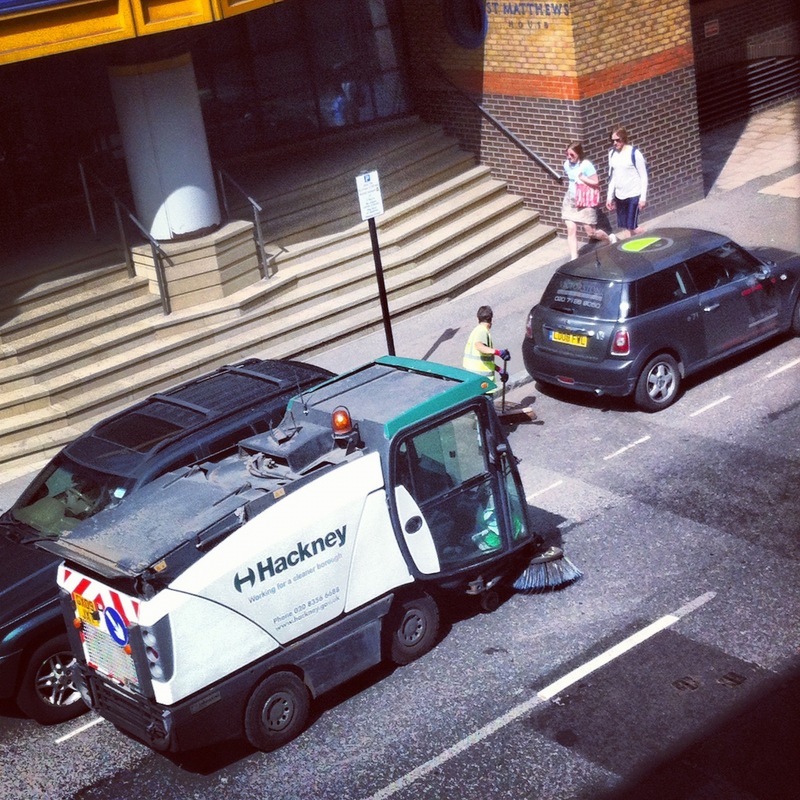 The cleaning team from Hackney Council was furiously busy, cleaning up our street. I swear they had never ever done this on any Saturday for the past ten years! It was easy peasy to guess that they were doing it because of the Olympic.